When you're the source for "breaking news" but it turns out to be "faking news," you're in trouble. ABC News "chief investigative correspondent" Brian Ross reported on retired Army Gen. Michael Flynn's plea deal with special counsel Robert Mueller by claiming that Flynn is "prepared to testify that President Trump, as a candidate, Donald Trump, ordered him, directed him to make contact with the Russians which contradicts all that Donald Trump has said to this point." It quickly became clear that was flat-out wrong. Later, ABC News added on the evening news what it disingenuously called a "clarification" -- actually, it said, Trump directed Flynn to contact the Russians after the election. Not only is that not scandalous but it is also completely expected for a new president. After more uproar, ABC finally found the reporting to be a "serious error" and suspended Ross for four weeks without pay. It's a classic journalistic mistake to try and be first to report something before it's verified. But in the Trump era, when liberals believe the president is a uniquely dangerous threat to America -- and even the world -- any news that could lead to speculation about Trump's impeachment or resignation is like catnip. Journalists are prone to overhype anything that could spell "The End." In 2001, Ross claimed that the anthrax used in deadly attacks after 9/11 in Washington, D.C., and New York was coated with bentonite, a chemical compound found only in biological weapons made by then-Iraqi leader Saddam Hussein's henchmen. Former President George W. Bush press secretary Ari Fleischer remembers the event. 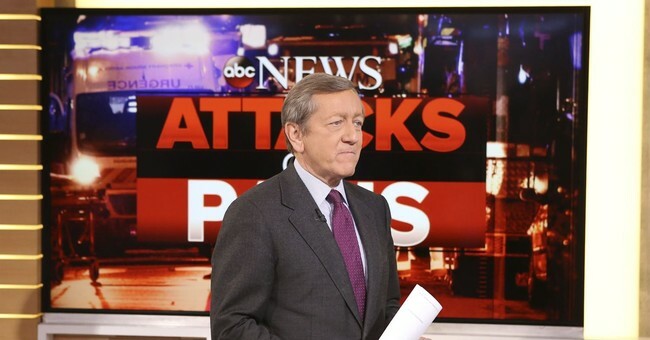 He tweeted: "I explicitly told ABC News not to go with the anthrax story because it was wrong. Brian Ross went with it anyway -- and one week later issued a murky, hard to understand correction."